Tummy Tuck. 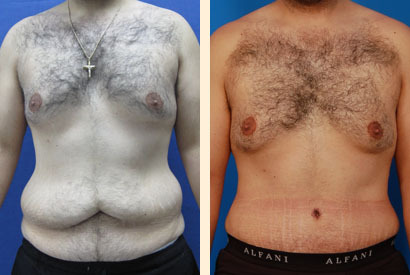 All stretch marks below the belly button were removed and the abdominal muscles tightened. Postoperative photographs taken one month after surgery.